Today I'm really excited to have Roger Ver on the show. Now, bitcoin, the cryptocurrency, doesn't have any owner, right? It's decentralized, there's no one person that owns it but Roger Ver was able to purchase the domain name bitcoin.com and turn it into a leading resource for bitcoin users. He's an investor in Purse.io, a website that allows to purchase on Amazon with bitcoin at massive discount like 20% to 30% discount. He has been the strong voice in the bitcoin world for many years, I'm very happy to have him on the show today. Hi Roger, than you so much for being here today, how are you doing? Thank you for having me, Alex, I'm doing great. Cool. So, I first heard of Roger Ver when I watched his video that he posted in 2012, I think. Where he predicted the price of bitcoin will go up from $10 to $1,000. And his prediction came through and now Roger is one of the most active voices in the bitcoins community and is also the owner of bitcoin.com. So, Roger when did you first heard about bitcoin and at which moment did you realize that bitcoin had the potential to change like everything? So, I first heard about Bitcoin listening to one of my favorite podcasts a show called “Free Talk Live”, and they mentioned Bitcoin in regards to the Silk Road and I've never bought or sold or used any drugs and never really had much any interest in drugs myself, but when I heard that people were able to use this money to buy and sell that sort of thing and there wasn't anything that people could directly do to stop that, I realized this must be something interesting. So ,I started googling it and then when I understood more and more about it I realized that this is the best form of money that the world has ever seen. And I had the right background to be able to understand that because my hobby from a young age has been studying economics and playing with computers and that's exactly where where Bitcoin comes together, so at the exact right background to to be able to understand that. Wow and then once you understood the power of bitcoins you just started investing in it, I think. And you started quite a few company like Purse.io, which we're going to come back to it later but right now in the bitcoins world I was reading you post you wrote a blog post I think two days ago on the Fee.org. Very interesting, which was about the block size debate and you call it the block size blockade and your post came out at the same time and I know if you heard about it, the terminator plan. Yeah, I heard about that. Yeah, well it just came out exactly at the same time so did you plan it? So the terminator plan as far as I know seems to have come out about a day or two after my blog post, maybe there's some correlation there maybe there's not, I don't know. I would like to think that my essay was was influential and lots of people over the ecosystem because I think it's really really important, we need to make Bitcoin the safest, cheapest, fastest, you know, best cryptocurrency around. And if you artificially limit the number of people they can use it and make the fees really high and the confirmation times take forever, people are going to use something else that's what it comes down to at the end of the day and I think a lot of people didn't necessarily understand that I hope a few more people understand that now that I put all my thoughts down into paper on that essay that's on the foundation for economic educations website. Yeah, very good post. So, what do you think Bitcoin will need to become the number one payment system? Or do you think that bitcoins will ever be the number one payment system? I hope that they can be. Bitcoin needs to be faster and cheaper and safer than every other payment system out there. And as of today at 8 cents 10 cents sometimes, you know, paying $10 or $20 is the recommended for your transaction when there's a bunch of inputs. It's not cheaper than a bank for domestic wire transfers and sometimes it's not even cheaper for international transfers and that's a big big big problem because it definitely used to be cheaper than all those for the first six years or so bitcoins existence. And now, you know, I guess it's a good problem to have so many people are using Bitcoin that the networks become congested, but the right way to solve that is to increase the capacity of the network but for whatever reason lots of people don't seem to be feeling the urgency or the pressure or the need to increase the capacity of the network in order to keep up with demand. And as a businessman I think of course you need to meet the demands of your customers and the customers of Bitcoin or the Bitcoin users and we need to keep up with their demands so that's where we're at today. Exactly, right? So if bitcoin is not convenient anymore people won't be using it that's why, you know, people in the United States I think they don't use bitcoins right now it's because it's not convenient enough in their life. But people like in China or other places where currency is not as available or banking is not as available as here, maybe they're more likely to use it.But then we don't want to lose this advantage. Which is maybe a good segue for Purse.io that you mentioned, that you wanted to talk about earlier. So I think that's one of the strongest reasons for people in the U.S. to be able to use Bitcoin. All you have to do is buy some Bitcoin and then you can buy anything you want direct from amazon.com for you know 10%, 15%, 20%, even 25% discount off of whatever you want. And that's...you know who doesn't like saving money and the answer to that is, everybody wants to save money and Purse.io lets you do that with Bitcoin in a huge huge way. And I buy stuff from Amazon all the time and I do it through Purse.io because you can save save a fortune and that adds up. Yeah, I mean that's amazing. So let's talk about Purse.io. So, you started that how long ago like a year ago I believe? I didn't start that but you know, I was one of the investors in that because I was such a big fan I was already a user and a customer of that. And I liked it so much and I thought it was a great reason to get more people using Bitcoin so I was more than happy to put some money and to help get that one started. And it's actually run by a some guys out in San Francisco, California who are, you know, great guys and serious entrepreneurs and working hard everyday to make the service more more useful and easier to use for people. And I think they're having a lot of success and getting more and more traction, so it's fun to see that happening. Cool. And so as an investor I guess you didn't have like ends on the project all the time but from your perspective what was the biggest roadblock that Purse.io had to overcome to become successful? I think getting the word out has been their biggest problem. When people hear that they can receive a 20% discount on Amazon the first thing people think is that that can't be real, that must be some sort of a scam or a gimmick, like how could I ever possibly get a 20% discount on Amazon. But it is real, it does work, there's nothing there's, no gimmick here about it at all ,it's absolutely fantastic. I use it all the time in my daily life. I was logged into the website yesterday and they actually keep track of how much money you've saved using the website. And I have a couple of different accounts with them actually, but I noticed on the account I logged into yesterday I've saved over $7,000 total by buying stuff through their website. So, like that's a huge huge huge savings. I used Purse.io before and yeah the savings are real and you can actually decide try to have even deeper discount than 20% I think. I don't know if it's still available that this... but yeah it's very nice app I definitely advise anybody to go and try it. So that's pretty cool and you are so created or maybe just invested in Bitcoin Hivemind, is that another project? Yeah, Bitcoin Hivemind is another one that I'm really excited and interested in which is basically a creating a decentralized distributed prediction market. And I think most people don't realize just how incredibly powerful of a tool prediction markets are and it's almost like a magic crystal ball that allows people to look into the future. And you can figure out using prediction markets what events you can take today, what the what the likely results of those events are tomorrow. And you can do it, you can aggregate the wisdom of crowds in order to do that so basically if you have, okay here's what I want to accomplish tomorrow, you can figure out what actions you need to take today to do that when it comes to all sorts of things whether it's, you know, technology or politics or all sorts of stuff. So it's gonna be a really really interesting powerful tool to the benefit of all of mankind. And the guy behind that, a guy named Paul Sztorc who's a really really sharp guy over on the East Coast. And I'm really looking forward to that being fully ready and launching. Yeah, I've been hearing about prediction market all the time Augur.net. So, when do you think Bitcoin Hivemind will be live to use? The last time I talked with Paul, he thought, you know, with within this year there'll be something for people to use. So... and hopefully you can sooner rather than later. Oh yeah, that's pretty exciting. We'll be waiting for that . And so I guess all of this will not be possible unless Bitcoin network scale properly and then obviously like we talked earlier the miners are thinking about increasing the block size by switching to Bitcoin classic, but what is the most plausible way from your point of view to scale bitcoins? We thought increasing dramatically the block size, like is that things like crude stock or the Lightning Network, is that the solution? I think there isn't any one magic bullet, there's lots lots of things that the technical people are gonna figure out how to do. And it's a combination of all those things working together, is what I suspect will be the final answer. One of the problems at the moment that we have though is that things like the Lightning Network aren't ready yet, that's several years away from being ready. Yeah, the fastest, easiest way at the moment that some technical people that have consulted and talked with on this, the fastest easiest way to get additional capacity so more people can use Bitcoin is to increase the block size. So I'm not in favor of increasing the block size just for the purpose of increasing the block size. I'm in favor of increasing the transactional throughput capacity of Bitcoin. And the fastest easiest way to do that at this moment is to be increasing the block size. But that doesn't mean that will always be the fastest easiest way to increase the transactional capacity of bitcoin. But today it pretty clearly is. Well and it [?] you said that the Lightning Network will not be ready for a few years. We're at least a year away on the very, very earliest side, I think, from having anything that's even remotely ready for actual end-users to be able to use on the network. And in reality we're probably years away before that will be ready. Alright, so we need to find an alternative. Yeah, that's right. I think in February that's at least the first time that the block was full. Yeah it's been getting progressively fuller and fuller and there's questions as to whether or not, you know, there's spam transactions or real transactions. But just yesterday there was an article from The New York Times reporter complaining about how he sent bitcoins to one of his co, where he tried to send five dollars with the Bitcoin to his coworker and it took more than a day for it to get confirmed on the network. And if it's taking reporters from the New York Times or if they're having a hard time using Bitcoin it's taking over a day for their transactions to confirm, there's definitely a problem. And that problem should be addressed and solved as quickly as possible. Yeah, because when I first started using Bitcoin, I remember like maybe a year ago, sometimes a transaction would take like five minutes to resolve and I was stressed out, like, Oh my God, what's happening, so I can imagine like an hour of not knowing where your money is for a new user, that must be very painful. I think so painful that they'd say, why would I use Bitcoin when I use PayPal? That shows up instantly and I don't have to worry about it, and there it is, so we need to make Bitcoin even easier to use than PayPal. Yeah, I totally agree. So you called, as I said in the introduction you called the $1,000 Bitcoin price back in 2012, I think. What's your next call? So what actually happened is... in 2011 lots of people on the internet were saying bitcoins a scam it's a Ponzi scheme it's never gonna succeed, Bitcoin is garbage basically is what they were saying, and I disagreed and I disagreed very strongly, and at that time Bitcoin was $10. And so I made a video saying that I thought that bitcoin was gonna outperform gold, silver, the US stock market and the US dollar by more than one hundred times over the next two years. And in just a little bit more than two years, like two years and two months, the Bitcoin price went from $10 a Bitcoin at the time I made that first video, to over a thousand dollars a Bitcoin. And I remember at the time Bitcoin was a thousand dollars - people were saying similar things bitcoins a bubble, it's a Ponzi scheme that can never last, Bitcoin will never be a thousand dollars. And when I made the first video at ten dollars sure up the Bitcoin price dropped from ten dollars all the way down to two dollars. And when I made the the final video at when Bitcoin was a thousand dollars, sure enough Bitcoin dropped all the way back down to around two hundred dollars. But it's been creeping up ever since and growing and more and more people are using it around the world, so as long as bitcoin is allowed to scale to allow more people to use it and have them be able to use it in a way in which it feels safer and easier and faster and cheaper than traditional payment systems and other alternatives, the price of bitcoin is going to continue to grow, because that supply is limited as the demand continues to increase the price in terms of dollars has to go up. So if bitcoins a lot of scale, you know $10,000 and then $50,000 and even $100,000 per Bitcoin is well within the realm of possibility. Nice. And I won't ask you to give us a timeframe, do you have an idea of when you think those prices will come through or your guess is just as good as mine I guess? Yeah, I think I'll quote Ray Kurzweil in regards to technology, but I think it applies to Bitcoin as well, is that it always takes longer than we expect in the short run but it always happens much faster than we expect in the long run. And I think the same will be true about Bitcoin adoption. Yeah, they say that people have a hard time thinking exponentially. Well that's interesting, so I heard people talking about the blockchain for keeping track of passport and like people identity or people using it for keeping track of real estate and such, and most of them use the bitcoins obviously because it's the most secure blockchain out there but in your perspective what are the most promising ways you think we'll be using bitcoins in the near future? I'm personally the most excited about the financial aspects of Bitcoin just because that's where my background is. The more ways people figure out how to use things the better in in my book and let, you know, everybody use things, however they want as long as they're not hurting somebody but for me and my background the financial aspects of Bitcoin in the the social ramifications brought on by those financial aspects are what's the most exciting and most interesting to me. I totally agree. I heard like, is it Andreas Antonopoulos that says that to bank the unbanked? Is that kind of what you think that everybody will have bitcoin on their phones and traditional bank would be just a thing from the past and cryptocurrency would just be everywhere? Yeah I think the traditional banks are gonna be a thing of the past, but the people that work at banks aren't stupid either, they're gonna figure out how to be useful to their customers in the future. And they're gonna have to adapt or, and the ones that don't adapt to it that will die off. But the ones that do adapt will provide interesting financial services based on Bitcoin or cryptocurrencies in the future. And so that that's exciting as well and a lot of people maybe, I hear a lot of people all the time in the media complaining about overpopulation this and overpopulation that, but if you think about it new ideas and new problems are solved by humans and the human brain, so the more brains and the more humans we have around the world the more people we have that can think about these problems and figure out ways to solve them. So the same kind of applies to Bitcoin and cryptocurrencies the more people start using it the more new ways they start experimenting with it the more likely someone is to find some new and interesting thing that they're able to do with it. And then when they find it all of humankind gets to benefit from it just like you know we assume one guy, Satoshi, figured out how to make Bitcoin, that doesn't mean that only Satoshi gets the benefit from it, now all of us all over the entire world get to benefit for it and it's the same with you know, the inventor of the you know, the wheel and electricity and everything else. Like one guy invents it or maybe one small group of people invent it and then the entire world gets to benefit from it. And that's the beauty of the free market. Yeah, that's true I love it. I like to ask this question to all my guesses just because I think it's a very interesting question, but how do you manage your time like how do you structure your day to stay proactive? Because you're the CEO or investor in a lot of different venture. Yeah, I wake up in the morning with my laptop still in bed next to me and start working on Bitcoin stuff on the computer and I fall asleep at night with my laptop in bed working on Bitcoin stuff. So it's all Bitcoin all day every day and it's been that way for quite a while now. Nice, all right. So it never stopped. So, now is time for my favorite part of the interview, it's called the path to freedom. So I'm gonna ask you three questions on entrepreneurship and you just answer the best you can. So the first question is where do you think are the biggest opportunities for entrepreneur today in the Bitcoin industry? The biggest opportunities for people in the Bitcoin industry today, the whole world is wide open so you have to find something that customers want and are willing to pay for and then find out a way to give it to them faster and cheaper and better than anybody else that's providing that service today. So find out something, I love it. What is the most the single most important character trait of success to you? You have to be honest. If you're not honest you don't have anything there and if you cheat somebody in business maybe you'll make the money, you know, the one time that you cheat them but if you treat them right and give them what they want and give them value they're gonna come back to you again and again and again and you'll have a, you know, life potentially a lifelong business relationship there and make money over and over and over again. And I can think of times in my business career in which people have cheated me and I think, wow, if they hadn't cheated me I would have come back over and over again and they would have made way more money over the long run than they made the one time by cheating me. So be be honest, is think is the most important thing. And the last one would be, let's imagine for a second that you couldn't leave any of your businesses to your children but only a set of instruction on how to build a successful online business, what would you tell them? Buy low and sell high, but that doesn't just apply to the stock market it applies to any business whether you're buying labor for a lower price and selling to someone else for more, or or physical products so it's all about moving products from where they're worth less to where they're worth more. So look around in the world and see where you can add value in that way and then do it and then do it over and over and over again on a grand scale, and the bigger the scale the more money you could make. Well, that's good advice. Awesome. Well, Roger, thanks for coming on the show today but just before finishing what's the best place where we can follow you online? Yeah, I try and stay really active on Bitcoin.com, I'm on the forums there occasionally I post in the news side there and then if you want to find out about me more specifically, RogerVer.com is my personal website, V as in victory, e-r, just three letters, is my last name. Alright, so bitcoin.com and RogerVer.com, that would be in the show note. Awesome, so thanks again Roger we'll talk to you later. Thank you so much Alex. Crypto Investing Pro - Who Is Alex Fortin??? Crypto Investing Pro is an online course on how to start investing in cryptocurrency created by Alex Fortin. Crypto Investing Pro contains what Alex Fortin has learned from investing in Bitcoin and cryptocurrency. Now who is Alex Fortin? Is he really an authority on cryptoinvesting? Alexandre Fortin or Alex Fortin has started multiple Internet businesses, including Teespring Expert, a course on how to start an online t-shirt business with Teespring. He learned about bitcoin and cryptocurrency after studying every type of investment product there is to achieve financial freedom. Alex certainly didn't just read some articles on the Internet about crypto investing, but he put his all into it: by creating a podcast called "Business To Freedom" where he interviews millionaire investors, experts and entrepreneurs in the cryptocurrency field. He has interviewed successful entrepreneurs including Nathan Chan (CEO of Foundr), Zooko Wilcox (CEO of Zcash), Erik Voorhees (serial bitcoin entrepreneur) and Roger Ver (angel investor, early investor in cryptocurrency related startups). Alex started the podcast not only to share knowledge to others, but also so that he could get a free one-on-one coaching with some of the biggest names in the industry. Alex Fortin has also spent years studying, performing research and tracking the cryptocurrency trends. He also experimented by buying into all types of coins. Since one of Alex's passions is teaching by creating courses, he then decided to share what he has learned by creating a Udemy course called "Ethereum Course For Investors". Alex also has a YouTube channel where he talks about cryptocurrency. Will Crypto Investing Pro make you rich? Alex already answered "it depends" in the sales page video, but I would say that it won't make you rich. Just like any other course. 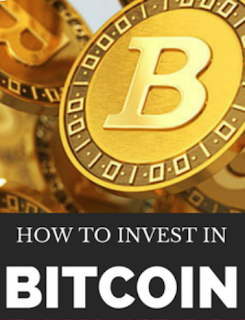 However, Crypto Investing Pro is the perfect course if you are new or a beginner to cryptocurrency investing and want to seriously study it in an orderly manner. As you know, you can find all kinds of information about bitcoin, ethereum, etc on the Internet for free, but it can be very confusing if you don't learn in an orderly manner. That's why courses like Crypto Investing Pro are created. Crypto Investing Pro is a suitable course for beginners in cryptocurrency to learn from the ground up about the basics, history, and knowledge about cryptocurrency before moving into practical application. This is a recording of Chris Dunn's periscope. In this video, Chris and Rocky are talking about bitcoin trading and some strategies you can apply. What do Chris Dunn and Rocky use to short bitcoin? What is arbitrage and how to make money from it? How much cash does Chris recommend to start trading bitcoins? Is there any corelation between gold price movements?